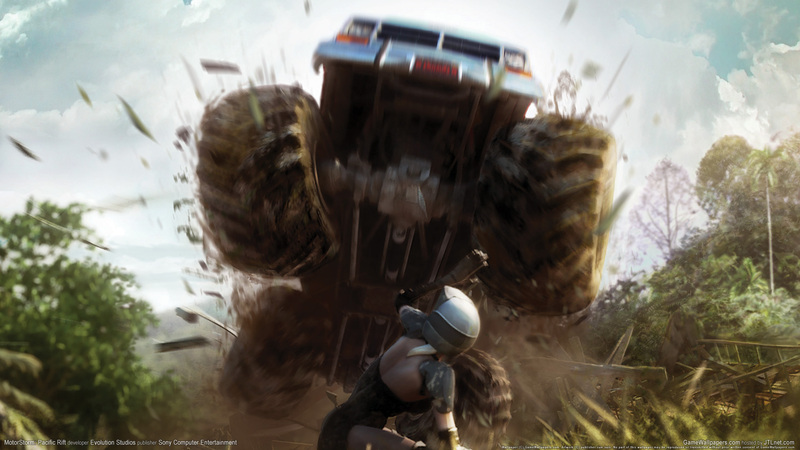 Краткое описание: The game moves away from the desert environments of the original title and relocates itself in "a lush island environment, full of interactive vegetation"; and also includes monster trucks and four-player split-screen capability. 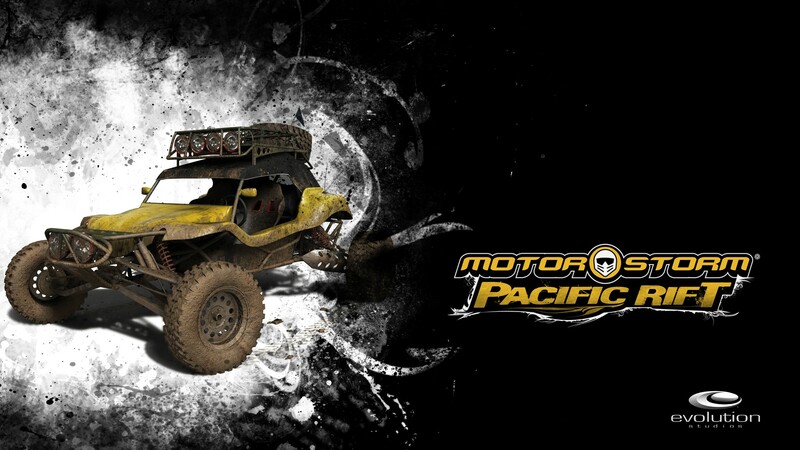 Monster trucks are able to ride over cars (except big rigs), break most vegetation, and destroy structures. Bikes also have new capabilities so they can bunny hop and the driver can duck. 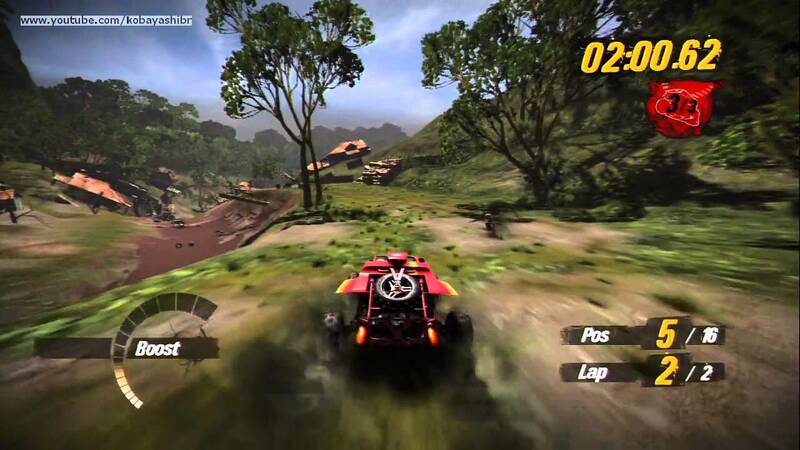 Custom music tracks using a player's own music stored on their PS3 hard drive are available as are trophies (to unlock more Drivers and Vehicles) and camera angles are improved for crashes; vehicle damage is also improved. Users can now select drivers from the Garage menu, thus not having to rely on picking the vehicles, depending on the Driver's gender. 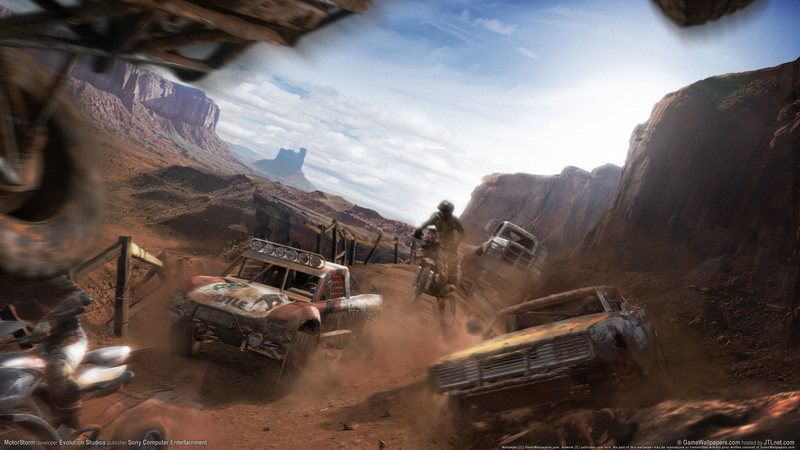 "Speed" events are firstly introduced in the game, which consists numerous checkpoints in each tracks that users must pass through to achieve extra times before the timer runs out. Any class that isn't the ATV or Bikes can ram their vehicles left or right. The ATV and Bike ram by their driver throwing punches at the other drivers. 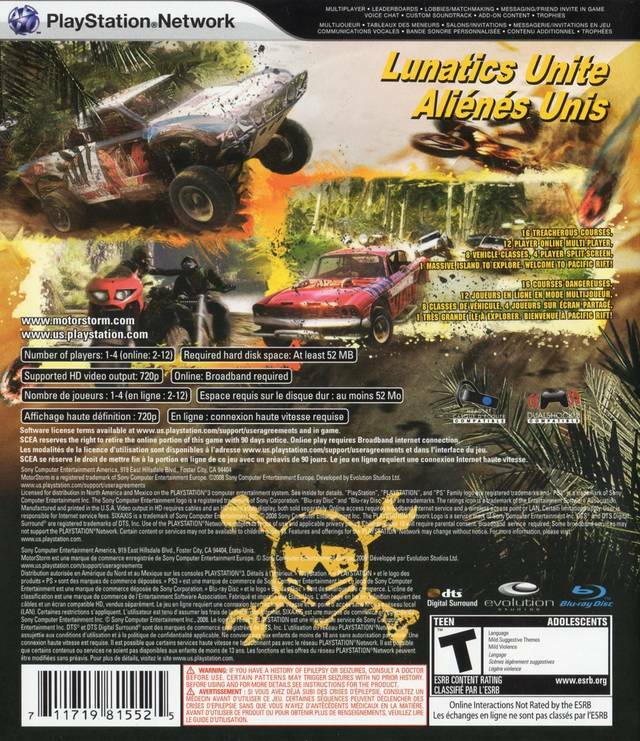 The game moves away from the desert environments of the original title and relocates itself in "a lush island environment, full of interactive vegetation"; and also includes monster trucks and four-player split-screen capability. 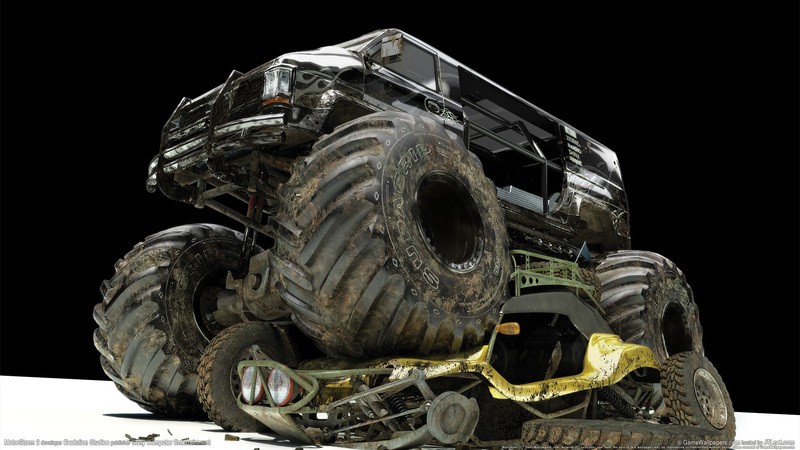 Monster trucks are able to ride over cars (except big rigs), break most vegetation, and destroy structures. Bikes also have new capabilities so they can bunny hop and the driver can duck. 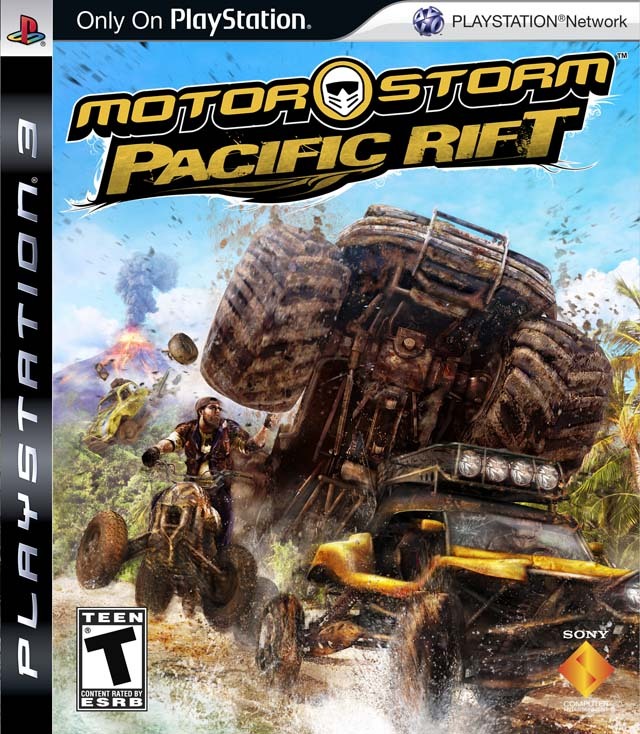 Custom music tracks using a player's own music stored on their PS3 hard drive are available as are trophies (to unlock more Drivers and Vehicles) and camera angles are improved for crashes; vehicle damage is also improved. Users can now select drivers from the Garage menu, thus not having to rely on picking the vehicles, depending on the Driver's gender. 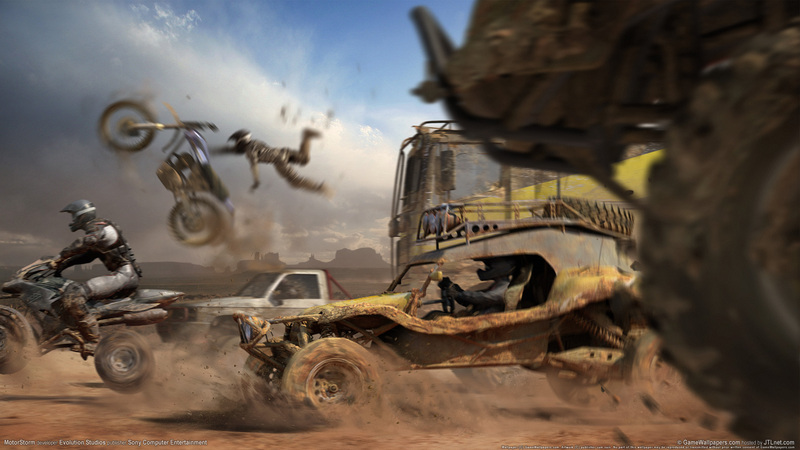 "Speed" events are firstly introduced in the game, which consists numerous checkpoints in each tracks that users must pass through to achieve extra times before the timer runs out. Any class that isn't the ATV or Bikes can ram their vehicles left or right. The ATV and Bike ram by their driver throwing punches at the other drivers.